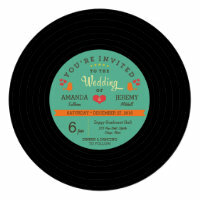 Poptastic Bride Boutique has fun, unique and creative modern wedding invitations in an assortment of designs for you to choose from. 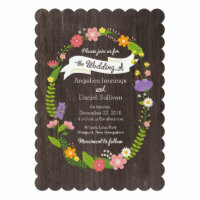 Our shop is powered by Zazzle which means you can personalize the invitations online using our pre-designed invitation templates. Simply insert your own names & wedding details in the spaces provided, place your order, and receive them in a matter of days*! Each invitation set comes with matching stationery including Save the Dates, thank you cards, photo cards, save the date magnets, monogram stickers, postage, ring binders plus a host of other gift items. Most importantly, all our designs are 100% original. They are also printed on demand which means you will not see them being sold in bulk commercially anywhere! * Invitations and postcards are manufactured within 24 hours of placing your order but shipping time will vary depending on the shipping method you choose at checkout and your location. * Worldwide shipping is available. 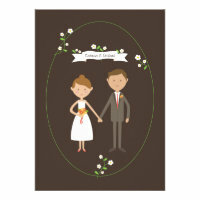 See more information on Zazzle’s shipping rates and turnaround time [GO].